This is a beautiful, vintage illustration from a 1940's Buick car catalog. 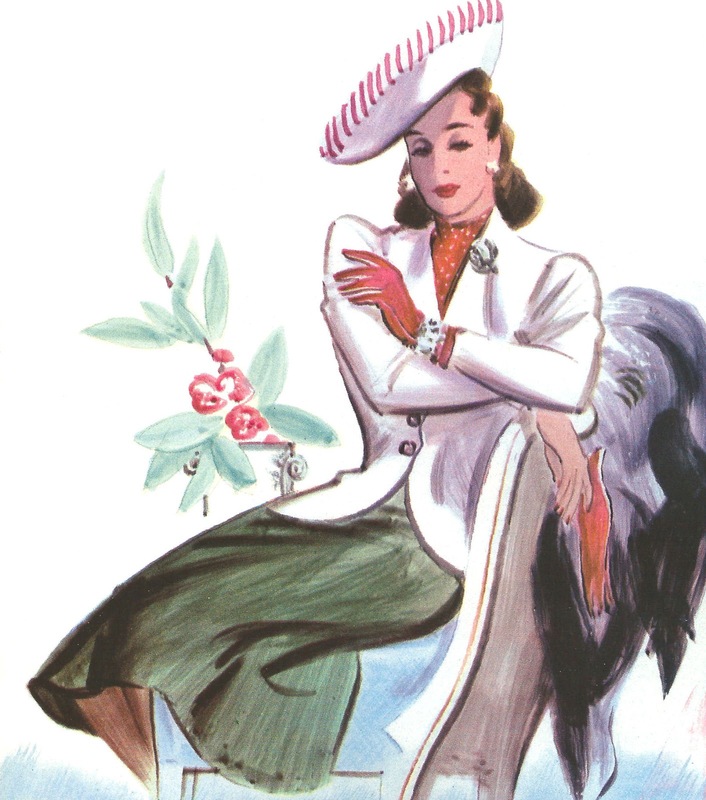 I just love this vintage fashion graphic! That hat and hairdo are simply gorgeous. I've posted a similar graphic here from the same catalog. Enjoy!